Home Growing Fancy a Year Round Harvest? Fancy a Year Round Harvest? 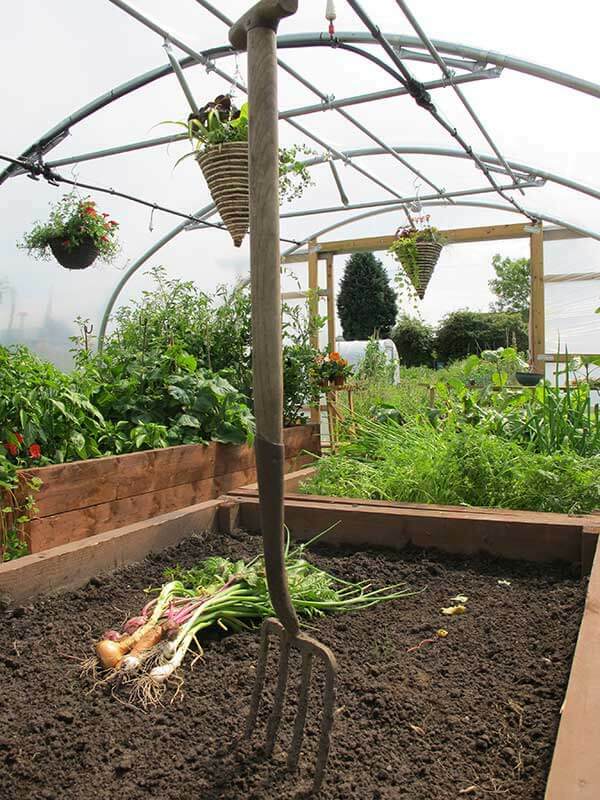 With a First Tunnels Polytunnel, your harvest steps up a gear as the rest of the garden winds down for autumn & winter. August – High summer in the garden and time to sit back relax and admire the fruits of your labours. With flower borders billowing and kitchen gardens at their productive best, a years worth of sowing and hoeing all becomes worthwhile. The trouble is green-fingered types aren’t ones to sit in the garden for long. Gardeners are already thumbing through next season’s seed catalogues and planning their plots for 2014 and beyond. We know that autumn is just around the corner and the season will soon be coming to an end. It’s hard to imagine that the first frosts could be upon us in weeks! The extended harvest doesn’t stop when the clocks go back. Many of these popular fruit and veg will still yield crops in November undercover. And instead of watching fireworks, Polytunnel gardeners are busy sowing new crops – broad beans, cabbage, coriander and garlic, for example. Not bad, when you consider that our climate is far from Mediterranean. The key to growing your own right into winter is to get a Polytunnel up and running now. First Tunnels, the UK’s leading supplier of their vast construction knowledge and expertise with the online garden Polytunnel community. Visit www.polytunnels.co.uk to watch an extensive range Polytunnel construction videos including hoops assembly, fixing door frames, how to repair a Polytunnels Polythene cover and even how to clean a Polytunnels polythene cover and even fitting the polythene cover You can download FREE comprehensive construction guides for Polytunnels and Fruit Cages and easy to follow instructions for installing First Tunnels irrigation systems. Weekend help – Now here’s the best bit : because most Polytunnels are built at the weekend, First Tunnels have set up a construction helpline that operates out of office hours. This allows customers to talk directly to an expert constructor between 9am-5pm at the weekend (call 07801 601253) ensuring that your Polytunnel is completed. As well as construction tips, there’s a wealth of tips on First Tunnels website www.FirstTunnels.co.uk. You can meet other Polytunnel growers on www.facebook.com/Polytunnels or call 01282 601253 to speak to one of First Tunnels expert staff before making a purchase that’ll stretch autumn harvest right through until Christmas! Order your FREE First Tunnels brochure today!